It’s supposed to snow again. Not lightly, but a lot. It’s late and it hasn’t started on schedule but that’s like a lot of things in life. So you wait. You want to be able to predict if your path will be crap or clear when you’re finally set to go. I’m waiting on a couple of things and I can feel the potential building. It’s in the pattern of events. Not a 100% guarantee mind you, could just as easily deflate, but like the smell of snow, change is in the air. i’m smelling beneficial change for me, but we’ll see. Ya’ just never know what your gonna’ get. Sleet, snow. 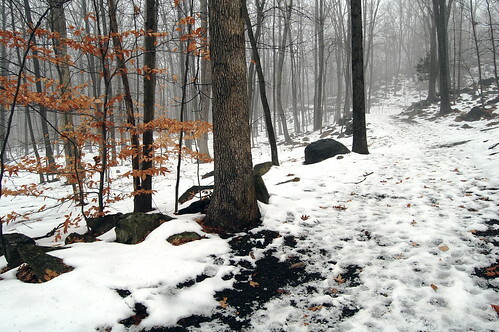 rain, wintry mix… if you’re prepared at least snow can be fun and the rest not so bad. Definitely not getting rain, though. Plenty of that soon enough. Change is always coming. Overwhelmingly, the men told Schilt that they were being treated better than they’d been treated as women. 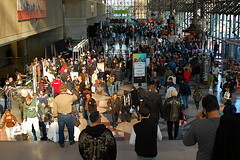 I’ve been to the annual motorcycle show at the Javitz in NYC several times and this years didn’t disappoint. In fact I’d say it exceeded my expectations because I didn’t get the flu like the last couple of times I went. I mean, what’s the point of sitting on a static bike if you’re not going to pretend your riding it? So of course we all put our hands on the grips and go “vroom-vroom”… 10,000 hands later and Steve gets the flu. Two years running. This year I attribute my bullet dodging to copious use of hand sanitizer and now I have no fear of fondling motorcycles at future events. The neatest thing about the show is that you see people from every walk of life that inhabit the NJ, NY, CT tri-state area. Old Harley dudes, young hispanic guys posing on every bike in site for a photo opportunity like they’re trying on different tuxes for the prom, Europeans (sorry to be so generic but I can’t recall every accent), guys that rode to the show (carrying their helmets), women who ride, and just about every color under the rainbow. It’s not an exclusive club. Although some would have you believe that. We’re not all edgy risk takers and you need to be one too to sign up. Some of us just accept that being alive comes with risk, we mitigate accordingly, and get on with enjoying it. Life does not come with a guarantee of duration, health, limb count, happiness, freedom from oppression or any of that stuff. But it does come with a guarantee of change… if you can hang on long enough. In the past I’d gone with a buddy of mine but this year I went with my eldest brother. I seldom had a chance to spend one on one time with him when his boys were younger but time moves on and things change. The biggest change was that he finally broke down and bought a motorcycle after many years of prevaricating. So, now we have a hobby (finally we’re beyond just talking about it) and a solid reason to do some stuff together. Vroom-vroom, away we went. At some other time I would’ve said my bro and I were very different people but as I (we?) get older it seems to me like we’re pretty much the same but with different aspects of our character in dominance. That’s probably clearer now because we’re grown adults with our own families. We’re not living together and competing for the same resources (personal space, parents affection, the last damn donut=>Battle Royale!) and have otherwise outgrown the roles we used as children to secure what we needed with a minimum of head-to-head competition. That’s what those artificial, I’m the wild one, I’m the fast one, I’m the oldest, or whatever roles are for… staking out your own turf.